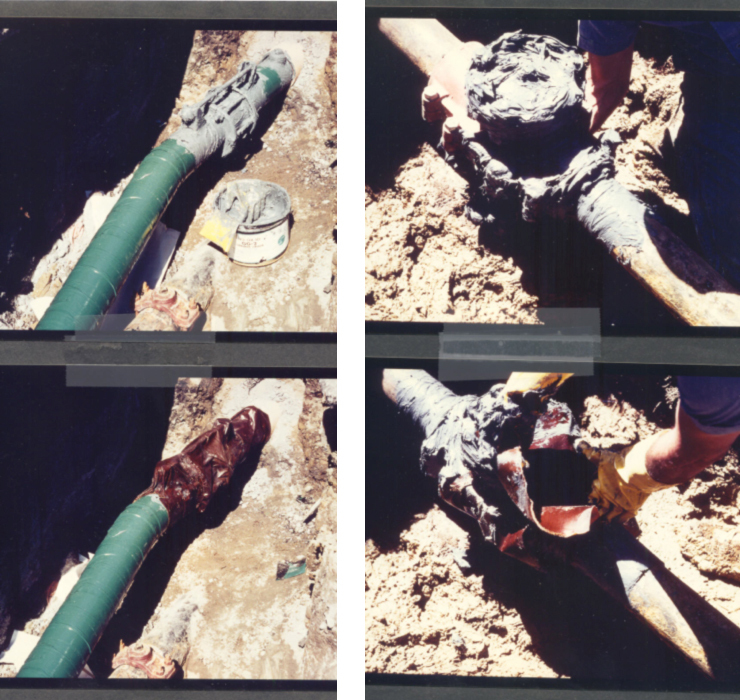 NO-OX-ID Protective Pipe Wrap is a flexible, dense covering which is highly resistant to moisture and soil penetration. NO-OX-ID Protective wrap consists of a wax impregnated fabric mesh, which is laminated to a high tensile strength non-fibrous plastic membrane. This moisture proof shield easily forms around complex fittings for mechanical protection of the protective coating. Excellent protection of underground pipes can be achieved when used in combination with NO-OX-ID 6X (our hot applied wax coating), or NO-OX-ID GG-2 pipe coating which is our cold applied wax coating. Either of these combinations will give a protective coating system that will last for many years both on underground installations and for the protection of industrial plant piping where corrosion action is prevalent or where conditions are severe.